My holiday shopping is 100% complete, so I don't have to worry about getting any Black Friday door-buster deals! Today I am thankful for the fact that I don't have to brave the crazy Black Friday shopping crowds. Instead I will be spending a quiet, relaxing day at home with my family; my kids, husband, parents, sister-in-law, brother, and nephew! We aren't promised tomorrow, so it's important to cherish every opportunity that we have with those that we love and cherish most! 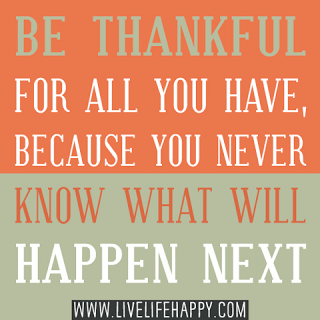 Today I am thankful for EVERYTHING! Every moment, every memory, every minute of every single day. Save $7 Off Every Ticket: Bring Your family to see the Harlem Globetrotters 2014 Tour! 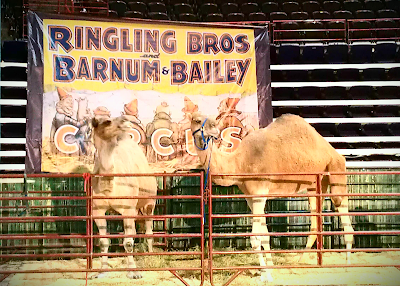 Looking for an awesome event the whole family will enjoy? 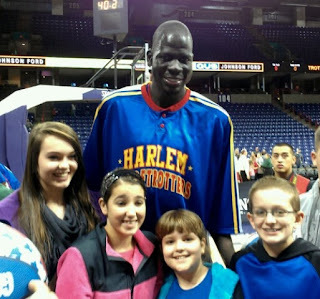 Bring your family to the Harlem Globetrotters brand new "Fans Rule" tour. The Globetrotters had so much fun letting fans vote for what they wanted to see in the game last year that they're doing it again! Only with brand new exciting rules like the Trick Shot Challenge and Hot Hand Jersey. We went to see the Harlem Globetrotters in February, and can't wait to see them again this coming February when they are back in town. The kids are SO excited and have already chosen which friends they want to join them. Take your kids to harlemglobetrotters.com/vote and vote for which rule sounds the most fun to you. After the game, come down to the court for pictures and autographs with the Globetrotter stars! 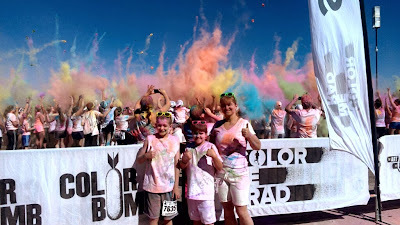 The only thing better than finding an event for the whole family, is getting a great deal on it and I've got a special discount code for you. 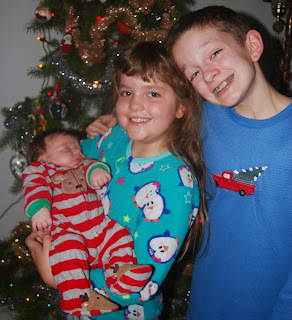 Holiday Gift Guide Winners: PlayMG & Ornaments With Love! It is time to announce some more lucky holiday gift guide giveaway winners! 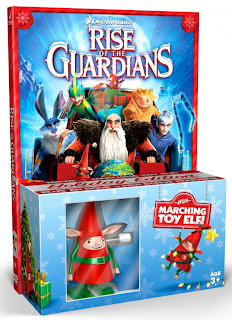 I'm going to announce the lucky winners for two great giveaways this morning: PlayMG and Ornaments With Love! 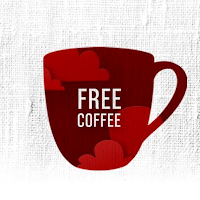 Are you one of today's holiday gift guide winners? A Road Trip Into the Future - The Sky is the Limit! My daughter is almost 10 years old and brought home a fun assignment that they did in class last week. I also love reading what goes through her mind, how she thinks, and what she thinks the future holds for her. Four months from now: Improve on my hand writing. One year from now: Go on a nice relaxing vacation. Two years from now: To get into the 6th grade. Three years from now: Get in Jr. High. And further... To get my drivers license and a car. I will go to a car dealer and get a car. I will ace my drivers test! Your hopes, dreams and goals: To get married, have kids and get a pet. Going to the theatre to watch a movie is a fun family activity, but it can be so expensive. Today I am thankful for our local discount movie theatre where I can take my family of 4 to the movies and have snacks for right around $20! 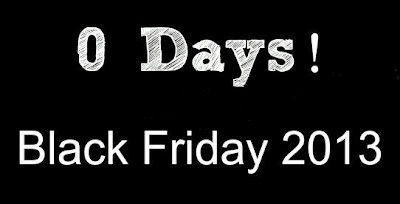 Granted we have to wait for a couple of weeks to see the newest releases, but it is well worth the savings! 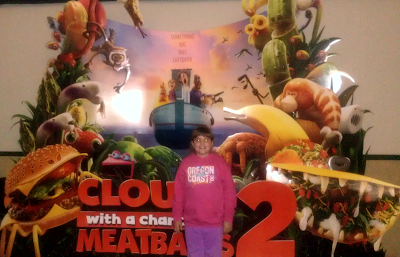 We went to the discount cinemas last night and watched PLANES! Was cute, but CARS is still my favorite! Drinking enough water and keeping your body hydrated is essential for healthy skin, weight loss and maintenance, and so your body can function properly. I make sure that my entire family has a full water bottle with us no matter where we are; whether it be school, work, home, or on-the-go. Now that my kids are getting older, having "cool" water bottles has become more important. I also like sending them to school and sporting events with water bottles that are different from the others so they don't get mixed up! I was recently given the opportunity to choose a couple different water bottles from Cool Gear to include in my holiday gift guide! Water bottles make the perfect gift for friends, family, and teachers! After much deliberation, I chose a Coolgearcan, Mason Jar, and Straight Wall water bottle. My kids and I loved the cool, unique, colorful water bottles. My daughter immediately grabbed the coolgearcan and claimed it as her own! Inspired by the popular soda can shape, while the drink opening slides open and closed easily - making it spill-proof when closed! 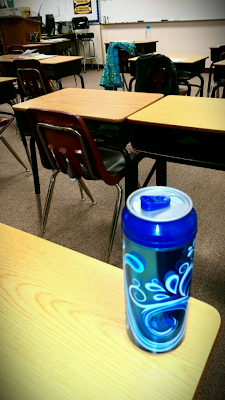 My daughter takes her cool water bottle to school with her every single day! Are you going to be shopping for technology, electronic, or gaming items this holiday season? Is a new smartphone or tablet on your holiday wishlist? What better way to end the weekend than by announcing some lucky holiday gift guide giveaway winners! I'm going to announce the lucky winners for six great giveaways this afternoon! 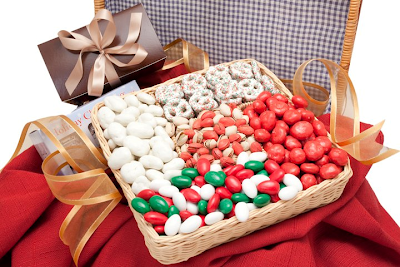 Candle Warmers, Thomas & Friends, BathBlocks, See's Candies, Guylian Belgian Chocolates, and Alpha & Omega 2! 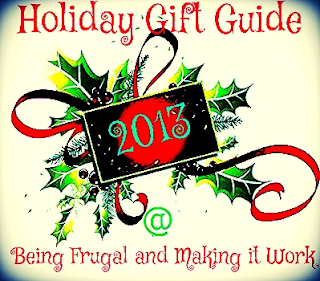 Holiday Gift Guide Giveaways - Over $700 Worth of Prizes! Did you know that there are only 31 days until Christmas? That means you have just one more month to get your shopping and decorating done! Have you started your holiday shopping? Well, today is the perfect time to begin your holiday shopping by entering to win your gifts instead of having to purchase all of them this year! I was lucky enough to win one more great blog giveaways last week, this time it was for a Pledge Gift Basket! 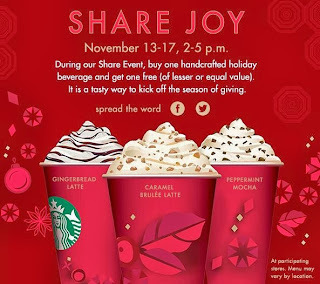 I guess that means I will have to clean my house for the holidays - (insert smile)! After a day like today... I am thankful for just about everything. 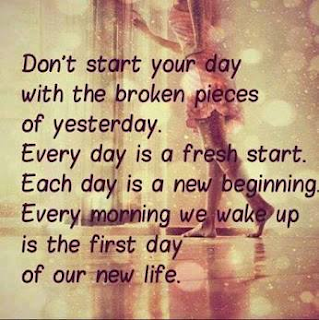 It was a rough day, but tomorrow is another day. Today I am thankful for my FAMILY! 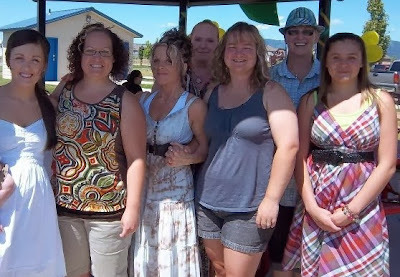 Even though we may not get to see each other all the time - we are there for each other no matter what. Especially when it matters most! TGIF! 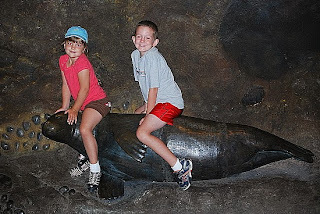 We have a weekend full of fun family events ahead of us! Tonight it's book fair and movie night at school. Saturday is the Bigfoot Battle wrestling tournament, and then Sunday is going to be movie and hot chocolate day! 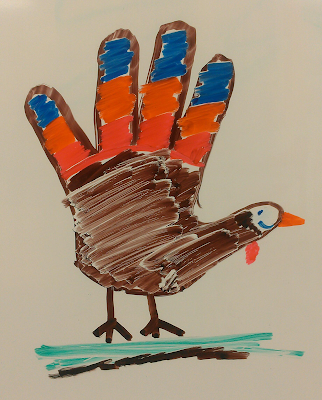 Today and every day, I am thankful for my family and the time we spend together! Santa, Frosty the Snowman and Rudolph the Red-Nosed Reindeer are three childhood Christmas favorites! I have always incorporated one or more of those holiday icons into my kids gifts every year. Last year my son and daughter each got an adorable moose (Holly and Hal) from Build-A-Bear Workshop, and this year my daughter is going to be getting Rudolph to add to her stuffed animal collection. 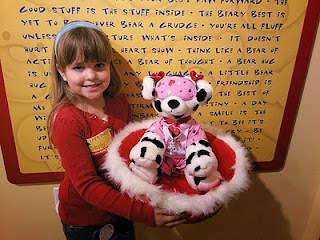 I was super excited when I was given the opportunity to review one of the new holiday friends from Build-A-Bear Workshop. I was given my choice and had a difficult time choosing because they are all so cute and festive. After much consideration... I chose Rudolph the Red-Nosed Reindeer! If my daughter had her way, she would love going to Build-A-Bear every week to choose, stuff, dress, and make a new stuffed, furry friend. Her room has stuffed animals piled high in every possible location - corners, toy chest, on top of her dresser and or course, her bed! There are some night when I don't see how she can fit on her bed to sleep with all of her furry friends. My adorable daughter at Build-A-Bear! I am the oldest of three children. 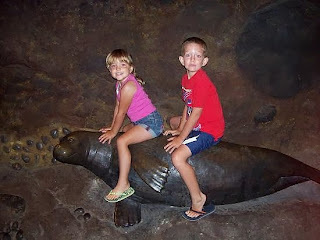 I have a sister who is 3 years younger, and a brother who is 6 years younger. Growing up the three of us were always really close and got along better than any other siblings that I knew. 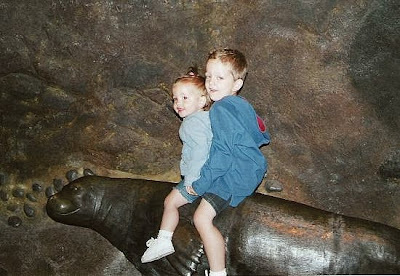 Now, we are all grown up with children of our own - and I am so lucky to have them! Today I am thankful for my brother and sister and the relationships we have together! Another day gone, another day closer to the holidays... When I began the '30 Days of Thanks' challenge, I was worried that I might not be able to keep up! However, I have remembered to share one thing that I am thankful for every day this month and it's my goal to continue. Today I am thankful for my parents! They gave my sister, brother, and I everything we needed and so much more! They taught us right from wrong, how to stand up for ourselves, and how to treat others! My parents are both amazing and are also awesome grandparents to their 5 lucky grandchildren! Did you have a View Master when you were growing up? If you did, then you will remember how cool it was to put a new real inside and be taken to another beautiful place somewhere in the world. I was recently given the opportunity to create and customize an Image 3D reel of my very own, and I have to say that it is one of the coolest things I've seen in quite sometime. 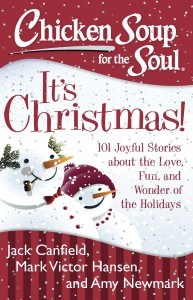 Not only is it fun and unique - it's the perfect gift for everyone - young and old alike! 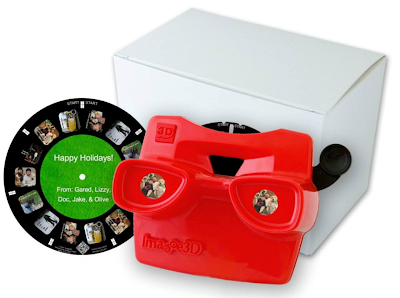 With Image 3D it’s easy and fun to create and customize your very own personal view-master style reels and viewers using your own photos! You can even add 3D captions to your photos as you build your reel. The viewer is available in four colors: white, black, red, and blue. I decided to create a special gift for my daughter for Christmas of our summer beach vacation, as a view master was one item on her holiday wish list this year. Although she hasn't seen it yet, I know she's going to be SO excited when she opens it and looks through her view master for the very first time. It will be a keepsake memory that she can cherish for years to come! Even though Monday is my least favorite day of the week (because that means the weekend is over), today I am thankful for my job! I work at the elementary school that my children have attended since Kindergarten... every day is a new adventure and I love working with the kids! You never know what you are going to hear or learn! If your children are anything like my daughter, chances are they are constantly asking to play games on your smartphone. My 9 year old daughter wants a cell phone of her own so she can play games, but there is NO WAY that is going to happen anytime soon. I already have an Android phone and tablet, so I was super excited when I was given the opportunity to spread the word about PlayMG mobile Android handheld gaming system in time for the holidays! 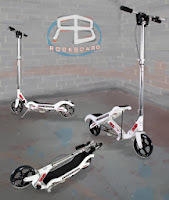 PlayMG is specifically designed with young children (tweens and teens) in mind - making it the perfect electronic device for my two children (ages 9 and 12 - almost 10 and 13). In fact, my children are already fans of the PlayMG owners/partners, Olivia Holt from Kickin' It and basketball all-star Kyrie Irving. I love it when stars that my children look up to are involved in positive activities, products and causes for children! 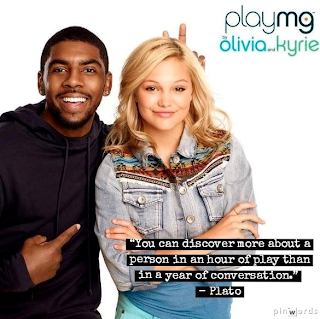 Not only have Olivia Holt (Disney) and Kyrie Irving (NBA/Cavaliers) joined PlayMG as partners/owners, they are now fully integrated into the product experience with a new app recommendation engine and weekly app recommendations, including a widget on the home screen. According to the American Academy of Orthopedic Surgeons, 30% of American adults are afflicted by lower back pain. Both my dad and I are among those affected. My dad was ran over by a tractor when he was a boy and has always suffered from back pain. The older he gets, the more chronic his back pain becomes. 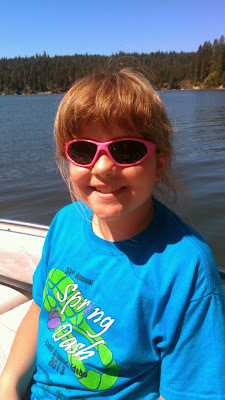 My daughter was born nearly 10 years ago, and a few months after she was born I began having back pain as well. After going to the doctor and having a MRI - a cause was never found. The QiPillow (pronounced CHEE-pillow) looks like a beautiful throw pillow, but it’s also an orthopedic device. 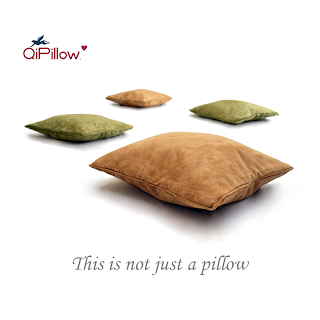 How does QiPillow differ from ordinary pillows? Being a mom is my favorite job title next to being a wife. My next favorite job title is being an Auntie! My sister has two children (a boy and a girl) and my brother has one (a boy). 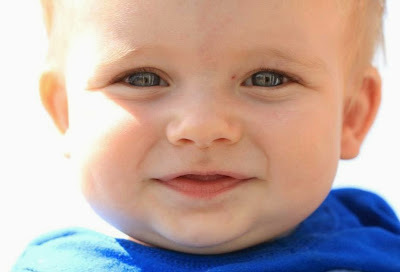 My youngest nephew will be a year old on December 6th! Today I am thankful that I get to be an Aunt to some amazing, adorable, and special little children! It's finally Friday... and I'm looking forward to the weekend! This weekend we have a dinner fundraiser for my son's wrestling club and on Saturday we will be going to the team tournament. Today I am thankful for our extended wrestling family! We have gained so many wonderful friends in our club as well as others, just by attending wrestling practices, tournaments, and camps. 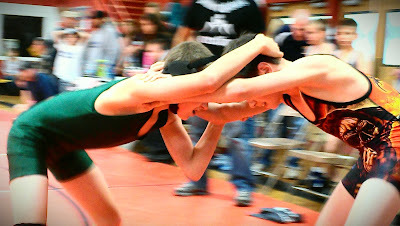 I love how the wrestlers are competitors on the mat and friends off the mat! It's hard to believe that it's already two weeks into November. Before we know it Thanks giving will be here, then Christmas, and then New Year's! Where has the year gone? Please don't hate me... but today I am thankful that all of my holiday shopping is done! That's right - every single Christmas gift has been purchased and all that's left to be done is the wrapping! Show your love this holiday season with a personalized Christmas ornament! Christmas has always been my favorite holiday. Spending time with family, family traditions and memories are what the holidays are all about. There are two holiday traditions that I look forward to every Christmas, a new pair of Christmas pajamas and a Christmas tree ornament for the kids! In order to make our family ornament tradition extra special and more memorable, we like to get one for each of our kids to reflect their current hobby or interest. 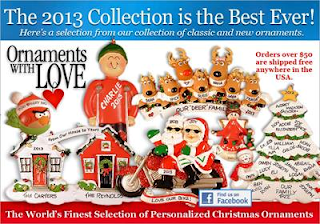 Ornaments with Love has a memorable selection of over 2000 personalized ornaments for every member of the family! Last year, I decided to get my son a personalized wrestler Christmas ornament. He loves wrestling and has been working and training hard all year long in hopes of reaching his personal goal to earn a medal at every tournament he wrestles in this season. 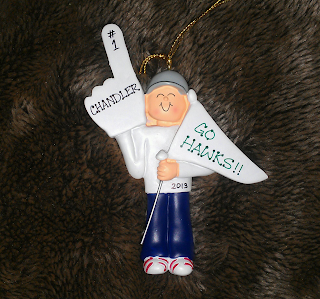 This year I decided to get him another personalized team-themed ornament - #1 FAN! Today I am thankful for the little things in life... the smiles on my kids faces, hearing them laugh and seeing the world through their eyes. My children mean the world to me and they have brought so much joy and happiness into my life. I can't imagine a single moment without them! I am thankful for every single moment of every single day that I get to spend with them! 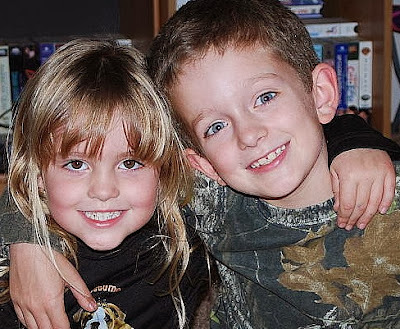 My children hold my heart... forever! Veterans Day: A Letter of Thanks to a Veteran - Dear Grandpa! 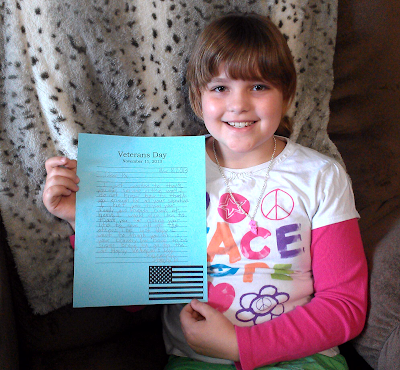 Last week my daughter's fourth grade class wrote letters to Veterans to show their thanks and support. Their teacher asked them to write a letter to a serviceman that they knew who has served our country and mail it to them. My daughter chose to write a letter to my Dad, her Pa! He served in the Army and was stationed in Germany in the early 70's. I just wanted to thank you for serving in the war. I do not know how to thank you enough for all of your sacrifice. I bet you missed your family and friends back at home. I would also like to thank you for risking your life to save all of the others.